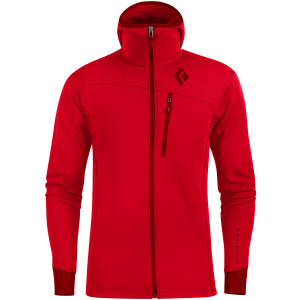 Simple and versatile, the Black Diamond Men’s CoEfficient Fleece Hooded Jacket works as a mid layer or on its own whether you’re hitting up the backcountry on a pair of skis, cranking on some ice walls, or headed down south for some cold-weather rock climbing. We totally understand your dilemma about what winter activity you want to participate in this week, and wearing this fleece as a mid-layer in snowy conditions or by itself in the cold, dry desert brings the warmth you need no matter what you decide. Its Polartec Power Dry High Efficiency fabric is incredibly breathable to keep you comfortable while you pull in the vertical world and ski up some snowy slopes. And the fabric gives the jacket fast dry times to pull moisture off your body before it turns to sweat, leaving you dry and happy wherever you are. The CoEfficient also features a hood that slides under your helmet. 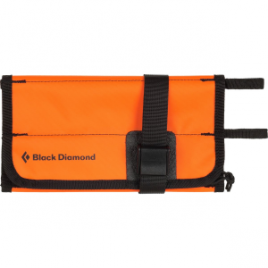 Black Diamond lined the neck with a brushed microsuede for comfort you appreciate on the wall and out in the backcountry, and stretchy cuffs softly seal around your wrists without the bulky feeling that adjustable cuffs have.